Fabian Cancellara and the rest of the Trek Factory Racing riders will take to the 2015 season on some new looking, as revealed by the team this week. The new bikes have taken a big move away from the look of last year’s machines, with a new striking red colour for the frame, offset with white decals. Each model to be used by the team next year, the Émonda SLR, the Madone 7 Series and the Domane 6 Series – which will be primarily used for the Spring Classics – will feature the new ‘viper red’ and white colours. 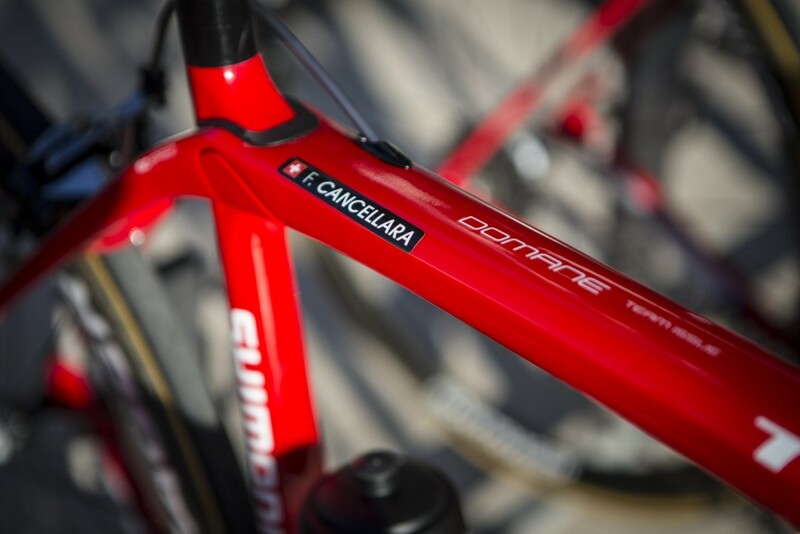 The team will continue to use Shimano components as well as Bontrager kit and wheels as they did last year. Cancellara will be aiming to continue his remarkable success in the cobbled classics in 2015 on the new Domane, as he hopes to add to his three Paris-Roubaix and Tour of Flanders wins. Trek finalised its squad for the 2015 season with the signing of Gert Steegmans from Omega Pharma-Quick Step at the beginning of December, while the team also announced that it would be joining the new cycling supergroup Velon. 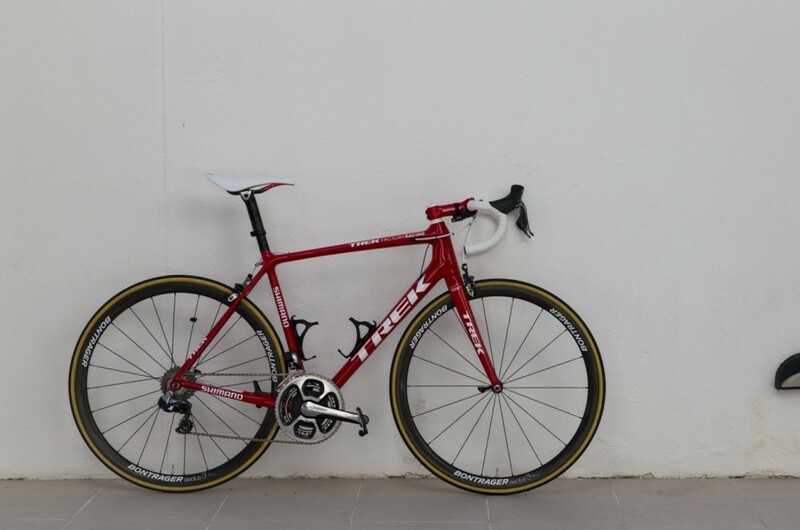 You can see more images of the new Trek Factory Racing team bikes below.